Jim Barton has extensive experience in competitive swimming at various levels including age group, high school, Division 1 College, Rough Water and Masters. Jim started his swimming career as a Vesper Boat Club age group swimmer in Philadelphia. At La Salle College, as a student-athlete, he was a record holder in the 500 free. He worked as a beach lifeguard for the cities of Avalon and Sea Isle City, New Jersey for 6 years. During that time period he competed in several rough water swims including the Miss America Pageant swim in Atlantic City, the South Jersey Shores, and the Tri-City Championships. After moving to California to attend graduate school at San Diego State, he continued his beach lifeguarding and rough water swims with the State of California for 4 years. Jim took a hiatus from swimming to raise three boys and work as a professional geologist. 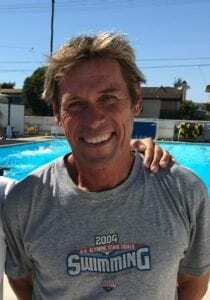 In 1993, Jim returned to swimming as a Master swimmer, competing on the National level as well as in rough water swims including the Labor Day Oceanside Pier Swim and La Jolla Rough Water Swim. 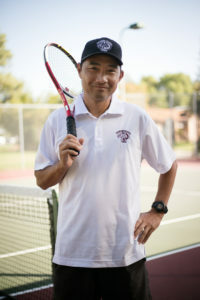 During the period of 2002 through 2017, Jim provided his experience and leadership as an assistant and then head swim coach for the Carlsbad High School (CHS) boys and girls swim team. Between 2008 and 2014, Jim coached a varsity preparatory team with North Coast Aquatics. During his tenure with CHS, CHS captured 10 CIF Division 1 boys swim championships. In 2014 and 2017, Jim was named CIF Boys and Girls Swim Coach of the Year, respectively.